I've told my story before on HomeStars.com. I'm a semi-invalid who has to depend on tradespeople to come to my home and keep it in livable shape for me. I treasure getting a needed tip on a trustworthy tradesperson who I know I will be using every few years. And now I can add A.M.S. Plumbing to that list of people I can trust to do a good job in a timely manner at a cost that won't make me put off calling for future work until the problem has turned into a crisis. Nevil from A.M.S. was recommended to me by a Bridge partner who was familiar with Nevil's father. She had made use of his services and was happy. Paying a plumber's bill is never cause for celebration, but she was impressed with his work. And she wasn't off-put by the bill either. So, I called in Nevil to fix a problem I was having with a 'running' toilet. It wasn't generating unneeded serial flushes. But it was constantly overflowing into the tank of my upstairs bathroom. LAST February, I was greeted by a bill from Brampton Water for about FIVE TIMES what I normally pay. A gentlemen by the name of Greg appeared when asked for and he couldn't have been nicer. He asked me, "Do I have permission to make a slight tweak the guts of your toilet?" It was the presumed villain. He did, and for the next three bills, all was normal. Then weeks ago, I got my winter water usage bill. It was TWENTY FIVE TIMES my normal bill. I paid it, but getting kicked for over 600 bucks is not my idea of Brampton Water doing it's job. I was never alerted (as I have been told others have when a monthly check reveals a potential problem) that something was awry with the toilet again. I detected no new noises. There HAD been a noise, evident when the light and fan were turned off, but that noise had endured through three reasonable bills. I asked for Greg again. THIS time, he re-iterated the toilet was problematic but that my bill was made significantly worse by a humidifier running amok. While I still have issues in believing the humidifier was running through a SWIMMING POOL's worth of water in three months, nearly 71 THOUSAND gallons, a rate of about 800 GALLONS a DAY, Greg assured me it was within the realm of possibilities. I think it was a faulty meter and told him that a similar result NEXT winter, with the humidifier turned off permanently, will result in my appearance at the steps of City Hall with lawyer in tow. The City will TEST a meter, but the penalty is 300 bucks approximately if the third party testing process finds the meter WITHIN the limits of performance. Just enough weaseling capabilities to make my protest invalid. So, I skipped the legal proceedings. Next year, if the meter goes crazy in the cold AGAIN, then there will have been no root causes for the bump and I think a lawyer will be well within reason. I know the toilet won't be an issue. Nevil took some time getting to me although he did contact me immediately upon my friend asking him to call me. It was nine day before he had an opening in his obviously busy schedule. He called me 45 minutes before he was going to arrive and that was within the originally-agreed upon time frame. He hit the mark promptly. He ascertained the issue immediately and went right to work. Sorry to disappoint devotees of cliches, but he wasn't a large man wearing a large tool belt prone to showing a cheeky side. Nevil wasn't ANY of those things. He quickly replaced a tube leading to the toilet and the inner workings of an American Standard toilet and was done as quickly as I could have wished for. He COULD have lolly-gagged and extended his payday by fussing around for five minutes. He didn't. I really appreciated his forthrightness in not milking the clock for his benefit. Everything's fixed. The toilet now refills to a mark a good 10-15 percent lower than it has in years. That alone might save me his bill over the course of a year, let alone stopping that water-running sound that would pierce the silence of a post-flush, lights/fan-off bathroom. Would I recommend Nevil to anybody needing smaller plumbing help? Unequivocally. Bigger jobs? I don't see any reason to believe he wouldn't or couldn't do them either. He DID have one condition that I was aware of before hiring him. He doesn't carry heavy equipment up stairs. Other people have to be hired to do that. With that small caveat, I give A.M.S. Plumbing the full ten stars. Fall 2016 Update: As I said below, I have a maintenance contract with Dr. HVac and yesterday, Ryan came by to do the fall inspection on the furnace. As always, there was a quick and thorough checking of my equipment. The big surprise was seeing Ryan with an old furnace filter and a humidifier filter that he was taking out of the house. Without asking me and without charging me for the service, Ryan had found both filters needed changing and that I had new ones right there to do the deed. I normally order my furnace filters from a company specializing in those, while I do my humidifier filter shopping on Amazon. i hate to admit it, but I normally get a visiting brother (I have two) to swap out the filters for me at Christmas. I am supposed to do it more often, but since I need help to do it, it's not that rare to make a switch once a year rather than the recommended twice (or more) a year. First, I thanked Ryan for stopping me from asking Rick or Wayne to go down to the basement when they are usually dressed in good clothing when making the rounds at holiday time. THEN, I asked if it would be possible to add GETTING the filters and replacing them in their visits in the spring and fall. "Sure," said Ryan. This accomplishes several things. It means not having to ask (or wait for) a brother to do fixer-upper stuff on what should be a social visit. Secondly, it means the filters are going to be replaced on a schedule, likely improving the quality of the air in my house ... which should slow my health issues from becoming worse. Lastly, I'm willing to wager that Dr. HVac can get the filters at a better price point than an end consumer like me can. Even with a mark-up for doing that work, I suspect I will come out of the bargain with a small savings that might even be bigger than small. I could very well have over-looked the nice thing that Ryan did for me in doing the replacements without charging for them (really, it was no cost on a no cost inspection that was part of a maintenance contract that I essentially paid for by NOT buying a smart home thermostat that wouldn't add all that much to my home, while costing a fair bit of money just to have a hot new toy). The replacement was notified on the invoice, but I tend to look at the bottom line and just file them. He could have left without mentioning his going the extra yard. Dependability and performance plus. No need for anything but a renewed ten stars. ... [The Summer 2016 Review] ... Thursday's continuation of the heat wave was of little interest to me ... until I noticed I no longer felt like I was living in a hockey arena. I'm a semi-invalid and keeping my house temperature at 72 all year round is an indulgence, but one that I feel permitted to have, given the lack of other vices in my life. I joke about being able to feel a single degree's difference, but it's awfully close to the truth. When it finally dawned on me that the home office was feeling more than little bit uncomfortable, I checked the various thermometers in the house and discovered the cooling wasn't cooling. To protect the computer equipment, I shut that down and went downstairs and called Dr. HVac. I've been a happy customer for a half-decade AND I'm a user of their subscription services to get two checks a year on both the furnace and the air-conditioning unit. It also means they take calls from me, remember my name, and have somebody out to see me within 90 minutes. I find that insurance comforting given the fact that the A/C unit is 30 years old. But a unit that HAD passed inspection with few qualms in the spring. About 90 minutes later, with full communications while he serviced two customers ahead of me, Erich arrived to check things out. A thorough examination of the furnace, the air-conditioning unit, the electrical situation and any connection issues later, Erich showed me the offending item, an electrical capacitor that is the heart of the majority of A/C issues. I saw the old part, noticed some electrical blackening on it and asked how much? "Well, you are a customer in our program, so the visit is half the usual 89 dollars and you'll be happy to know that that part is less pricey than the last time you had it replaced (about five years ago). The total was (a little over 200 dollars)." A half-hour after he arrived, my house was back to being a frigid haven from the effects of global warming. I've been happy every time I have had any dealings with Dr. HVac. I know that my problems will always be temporary with them. I don't shop this kind of support around. Given my health problems, which includes a quick temper when things I can't live without break, it's good to have somebody who you can trust. I'm picky with my ten stars, preferring to find some little nit to keep them on their toes. Problem is, there's nothing to complain about. So, ten stars it is. Gary, thank you so much for the fantastic review. We will certainly let Erich know about it. We are so happy to hear that we are exceeding your expectations on each and every call and that you are pleased with our services over the last 5 years. We are honoured to have you as a Service Club Member and always look forward to helping you out. I like my house cool in the summer and warm and cozy in the winter. I'm getting older and I think living in 72 degree weather indoors all year round is ideal. And yes, I'm of an age where 72 comes to mind before 20 degrees Celsius does. But this year, during the fall switch over to heating and the shutting off of the air-conditioning, I was bothered by two things: I didn't feel the warmth in the air from heating vents and I didn't get that once-a-year burnt dust smell that lingers during the first day or two. My furnace is 13 years old. Could it be on the fritz? In this case, I didn't do a search on HomeStars for a cross-section of potential companies to deal with. I simply looked up Dr. HVac. It was easier that digging up the paperwork for the job they had done four years back getting my A/C up and running. That was an emergency rush job as I discovered the house was a sweltering 88 degrees when I came home from a brief stay in hospital. And baking was surely contra-indicated, as they say in the doctor industry. That afternoon, four hours after I'd called, my house was back down to 72 and I was appreciative of the speed and quality of the service. So, it was back to Dr. HVac. And this time, I decided I would take on their maintenance plan, rolling this inspection visit into that plan, which involves checking out the furnace AND the A/C at the start and finish of their 'seasons'. The appointment booker rightfully pointed out that the day I had available to see their worker was voting day, something I'd overlooked. Moving the appointment to the next day was the right thing to do. Mike from Dr. HVac arrived on time, at the beginning of the one-hour window. He was down in the basement three times and out to check the outflow results. I got a comprehensive report that showed my furnace was working at 88.3 percent efficiency, just a click or two below the 90 percent the furnace was working at during the install at the start of the century. My frame of mind was mollified. The temperature on the thermostat was reflective of the actual temperature. It was simply a case of an old man with thinning blood not feeling the temperature fully. I clicked the thermostat up a notch to 73 and I was done with my fears. Furthermore, Mike and I discussed the new Smart home thermostats, of which Nest is probably the most widely known about. He posited that a different product would be his choice, if I was to buy a smart product. But he recommended against ANY purchase. In a case where there were SEVERAL several devices, like the thermostat and the detectors for Carbon Monoxide and Smoke, then a smart system made sense. But not just so that I could have a pretty looking gadget to show off to visitors. He saved me the cost of the maintenance contract with that advice alone. I'm a gadget guy and I had been itching to buy one. Dr. HVac has proven itself again to be a company I trust to do the job and not over-sell me. In the home repair biz, finding people to trust is always the silver standard and they've already proven gold-standard abilities to fix things. The Brampton area branch of the company is highly recommended. Glad we could help you out Gary. You're always a pleasure to work with! I needed a plumber to fix a leak. 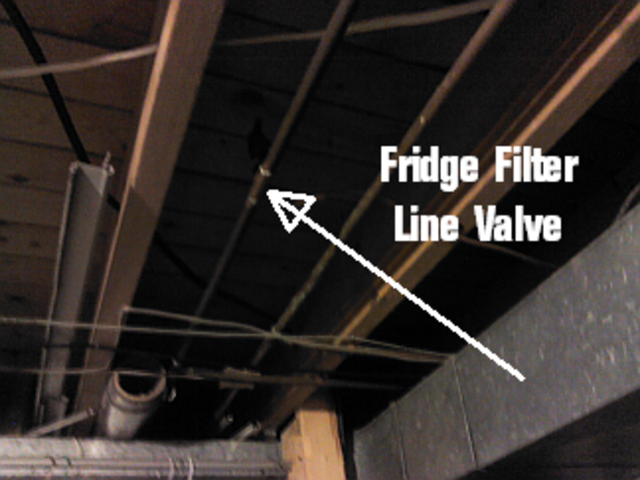 Within the day, the leak was fixed and although there was a hiccup or two, the end result was satisfactory, very satisfactory What happened was that I went looking in the basement for something and discovered a pool of water that was the creation of a drip from a T-joint in the copper piping directly overhead. To me and my untrained eye, it looked like a solder joint had gone bad. I turned off the water and went to Homestars to find a solution, My first pick was unavailable until the following Monday. My second pick scheduled to do the job the next day in the 9-11 am time slot, one that I normally spent asleep. I asked for a time between 10 and 11 and through several phone calls it appeared we had a deal. At 10:43 that next morning, I got a call informing me the worker scheduled to come see me had called in sick. There were no alternatives to him and nobody would be available until Monday. I am not naming that company because I truly believe they worked hard to meet my needs and random chance spoiled all that planning. So back to Homestars with no time whatsoever to do more research. I had a business appointment away from the home that would take me between noon and 2:30 pm. Once again, I looked for ratings and my locale. I had no time to read reviews. The 'winner' was New Canadian Drain & Plumbing. The scheduler there offered me half-hour time slots and we agreed to 3 pm. After a little chit-chat, she moved that to 3:30 pm. Which was a wise choice, since I didn't make it back from my meeting until 3:15 pm. And this is where a star got lost. I sat there until 4 pm before making a call. The scheduler, sounding a lot less chipper than she did five hours previously, said she'd investigate. I expected an immediate phone call back with an update. It didn't come. At 4:15, I had the phone in hand, ready to cancel the appointment and call my original first choice back and beg for a Monday appointment. I realized the folly, financial and otherwise, of trying to get weekend work. That's when Anthony drove up in his company van. From there, the process went very smoothly. The problem turned out not to be a solder joint, but an internal rubber seal that had finally given way after decades of working to stop leaks. The ballpark guesstimation by the scheduler for what I THOUGHT had been the problem was a fair bit of change. One that sounded on the high side when I queried folks around the table at the business meeting. But the actual events turned out to be a quite reasonable charge for the work. Anthony did NOT have the replacement part for the problem but hared off to a local supply store (twenty minutes or so, there and back) and got a replacement that seems to work. In the end, 45 minutes after he arrived, I was high and dry, the problem solved to my satisfaction. Anthony understood that the LACK of communication was an issue. Letting people wait in the absence of an expected service appointment is common. That doesn't make it acceptable. It's inexcusable and he understood that. Otherwise, he was extremely professional, was able to adapt to the problem of finding an ancient part that needed replacement and was quick about it while working. I would recommend Anthony of New Canadian Drain & Plumbing to family and friends without equivocation. The scheduling and the keeping to it was overly-ambitious and the lack of communications was a company issue and thus the lack of a star goes to it, rather than to Anthony. Hi Gary, Thank you for sharing your thoughts and experience with other homeowners. We are very pleased to know that you are satisfied with our quick response times and efficient workmanship. Please keep in mind that we are here to assist you with any future work or inquiry that may arise. Once again, thank you for choosing New Canadian Drain & Plumbing and we would appreciate any referrals you make on our behalf. Until next time Gary, take care. I live in a two-story duplex. The other half of the building is home to a retired couple and I'm not far off being a senior citizen myself. While a roof replacement wasn't something we wanted to do, the repair of an issue last month on my side of the roof prompted a discussion that led to the decision to be a day early rather than a day late. Despite Elvis' feeling we had one or two years left on the current roof, we opted to have the complete roof replaced. We did a thorough vetting of the finalists for our roof replacement job, getting recommendations from friends and colleagues and reviewing their options here at HomeStars. The three finalists were all highly-recommended, had good HomeStars ratings and I was sure would do good work. Obviously, my prior experience with All-Can made the company a favourite of mine, but I put an effort in coming up with an unemotional evaluation of which company to give close to five grand to. The fact that our neighbours to the north had spent that, and more, only to end up with a shoddy, leaky roof, made proper vetting important. So, I created a weighted list of factors to consider. Only 50 perccent went into the price. We also considered the work days, the work warranty, the vent replacement(s), replacement specifics, the clean-up guarantee, squirrel protection and trust. And we actually had different scores for each side as I had had squirrel issues in the past (at $400 a repair-and-evacuate), while my neighbour had no desire to spend the extra money. We also declined to give weight to the difference between 30-year shingles and 25, since both of us were of the opinion we would be living somewhere else by the end of the shingles' life. When the various numbers and counter-proposals were done, All-Can came in with the best weighted score, but the highest price. A 15-year work warranty, six-spot nailing and a trust factor score were what made deciding to entrust, literally, the roof over our head to All-Can, the final decision. And my neighbour and I are glad we did. I should point out that Elvis re-affirmed his opinion the lid still had life in it, while the other companies quoting suggested strongly that problems were dire indeed. And yes, the trust score proved to be the winning margin for All-Can. The work was a bit more than three days in total. In an off-and-on rain storm. Neighbours in the know, watched proceedings from nearby and were impressed with how Elvis and his crew made sure everything was water-tight as they replaced the roof, section by section. They didn't do that without some noise, but I soon got used to the rhythm of four knocks and a couple of quick final bangs as the shingles were done. Actually became a bit soothing before the silence mercifully returned on the weekend. My former dual purpose vent was replaced by three small vents that would not rattle and ping through the night. My neighbour went for a two-for-one replacement of his old 'whirlibird' vent, commenting that getting rid of that annoying sound might be worth the cost alone." 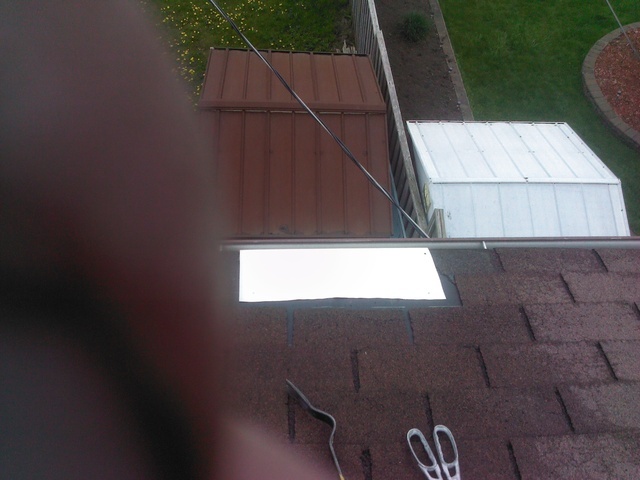 I got the aluminum flashing above my eavestrough that I hope ends any future squirrel intrusions. I have dents in my ceiling to prove how intolerant of their presence I am. Quality costs, so my father taught me. I could have saved as much as $250 by going with the cheapest quote, one that promised a one-day job. After seing (and hearing) the All-Can crew take three days and a bit to do the job, I'm even more convinced that I was right. Shame about the 15-year work warranty though. Don't think I'll ever need to take advantage of it. WOW WOW WOW Finally somebody hit the nail on the head! Only 1 in 4 people actually leave reviews for me. Gary customers like you are what make it worth it. Thank you for persevering, I know it took you three weeks to get your review through the homestars program, maybe that is why it is only 1 in 4... but I honestly can't thank you enough, I greatly appreciate the time you spent in writing such a positive review for me. I know for sure if you ever need anything roofing related I am your guy. I hope you and your neighbor have a great summer and don't forget to tell your neighbor to call me for golf, we actually play at the same golf course. You're the man, Gary! Thanks again! P.S. I did the repair for both of your neighbors on the right that you told me their roofs have been leaking for the last three years and I haven't heard a word from them... ;) Thanks for the referral Gary! We come to HomeStars to find quality, cost effectiveness and timeliness. But honesty is not always a by-product of even the best that HomeStars has to offer. I hit the jackpot, however, with Elvis and All-Can getting a job done that easily could have morphed into a bill that prompts the question "HOW many thousands of dollars?" What I got was a repair in 25 minutes, with extras thrown in like replacing old caulking around flashes. 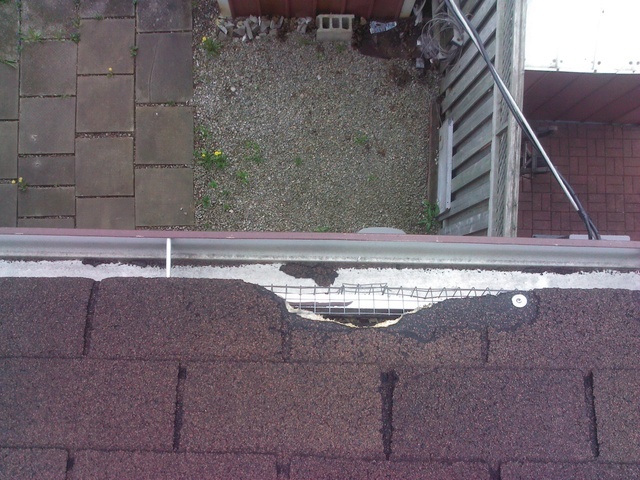 The hole that either a critter or nature had opened along one edge of my roof was covered over with an aluminum patch that bent down over the edge to help discourage the often ambitious squirrels of my neighbourhood and re-tiled expertly. And then two nice items occurred. I was given a bill $25 less than the quote and told my roof was good enough shape that I might get two more years out of it. He gave me a ball-park estimate for replacing the roof. Which was less than 40 percent of the cost of my neighbour to the north had paid for HIS roof two years ago. If I had the slightest complaint to make about All-Can, it was that I had to wait three days before they had a spot on their schedule for my (as it turns out) minor problem. I can't moan too much about waiting my turn. So, the full 10 star rating. And yes, I've even given Elvis' card to that same neighbour to the north who had his roof done. Seems it wasn't a good job and needs repairs. I have a 45-year old two-story brick house that is starting to show its age. There are drafts near some of the windows and I have an occasional issue with water in the basement when I get a hard rain coming from the east. While I would have liked somebody in Brampton, I couldn't find anyone willing to work on what would be termed a 'minor' residential repair. So, I asked friends in Mississauga and was recommended to try Estezo Estates. A phone call on a Tuesday had them there the next day. And their expected bill came spot on. The job took the two men 2:40, which was just about 15 minutes ahead of the rain that day. Three days later, I inspected the work and it had held up. In addition to caulking the six windows, four of which were on the second floor, the workmen took the time and effort to seal cracks that had developed in the brickwork. Further investigation also revealed a larger than expected gap in the wall where the external air conditioning unit's tubing entered the house. It is quite possible that they also solved my water in the basement issue, with the frisbee-sized application of caulking surrounding that area. In all, I enjoyed the experience about as much as any that I end up paying out of my own pocket. Would I re-use Estezo again? Well, I have already talked to them about checking the foundation if the water issue is not resolved. And there is the front step ... and maybe enclosing the whole front entrance ... well, I guess the answer is YES.